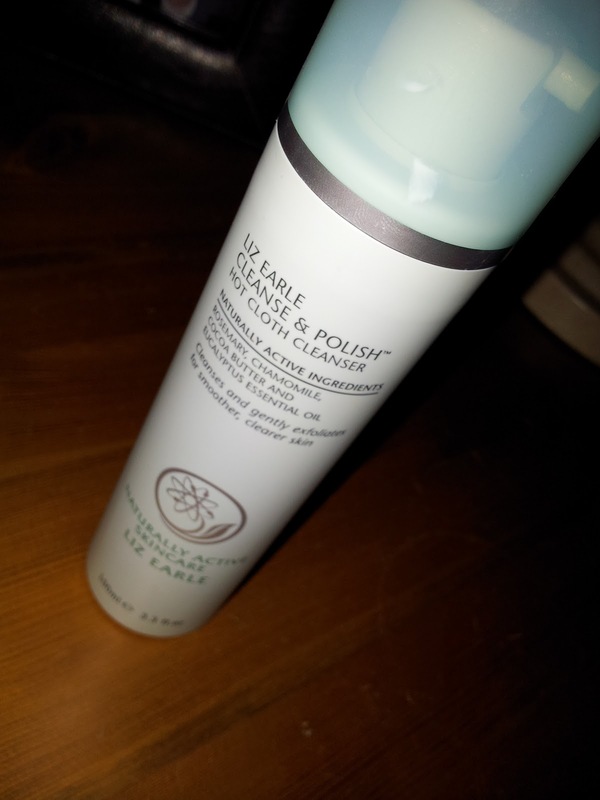 I have wanted to try Liz Earle Cleanse & Polish for quite some time now but somehow every time I needed to buy a new cleanser it seemed to be forgotten about...until last week! I was shopping in John Lewis and I had some vouchers that were just desperate to be spent so it seemed the best time to give this cleanser a go. I think it ended up costing me around £2.50! Quite the bargain I thought. I have had it now for just over a week and I can honestly say I am in love with it! I wanted to write about it the first day I tried it but I thought I should give it a week at least to form a proper opinion. It is very different from any other cleanser I have used before but in all good ways. One of the most impressive things about this product is how gentle it is. When I first used it I rubbed it all over my face and then my eye area to remove my make up. Where other eye make up removers have stung or irritated my eyes in the past if I used to much of them, this product was so kind! I could open my eyes to find that 1 - It was removing even my water proof mascara without any harsh rubbing and 2 - that I looked like a panda! I used it a second time on my eyes to make sure all the make up had gone. All traces of make up are just wiped from your face and I think this product would be wonderful for even the most sensitive skin. With the started kit for the Cleanse & Polish which is what I got you get a muslin cloth which is what this cleanser is designed to be used with for best results. You soak it in warm water and use it to wipe your face clean after cleansing. It is lovely to use and I feel that it helps leave your face looking and feeling smooth and very clean. It removes dead skin cells from your face in a very gently non abrasive way so if you are not a fan of facial exfoliants then this would be a great alternative as it is much kinder. In the week I have been using this product I can say I have noticed that without make up my skin looks a lot healthier. It looks brighter and I feel that my pores appear to be smaller but that could be down to them being cleaner thanks to the muslin cloth. It is a joy to use at night because it has the most gorgeous herbal sent that doesn't feel chemical in anyway, it is also lovely and refreshing in the morning when you feel like your not quite awake yet. I can see it saving me money too as I now don't feel the need to use make up removers which in the past I had to to take off my mascara. Overall I am totally and completely head over heels in love with this Cleanser! I can't see any other ever being able to replace it as I truly cannot find one thing I don't like about it. I have heard so many good things about this product! I use muslin clothes with my current cleanser but I'd love to give the Liz Earle cleanser a try someday. Great review! You should definitely try it out, I'm sure you wouldn't be disappointed.